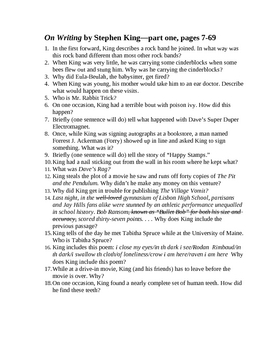 Four short-answer tests, each covering a quarter of the book, for Stephen King's On Writing. Altogether there are 65 questions. With answers.